If you were excited by the news this past fall that Swedish furniture and home accessories retailer IKEA was opening a new store in Marietta, you may be in for some disappointing news. 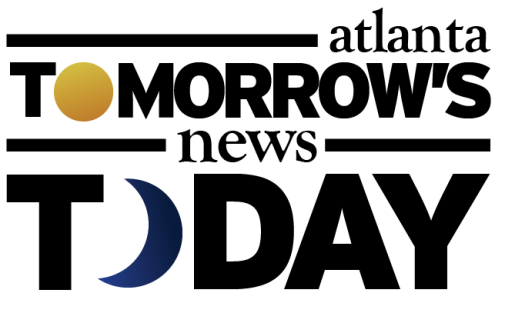 In the past few days the retailer has confirmed that it has cancelled not just one, but three, previously announced new stores, two of which were in the southeast. The Marietta store was to be in addition to the existing 366,000 square foot Atlanta area store in Atlantic Station which opened in 2005. On May 23, IKEA confirmed that it had pulled the plug on its planned store in Cary, North Carolina, the third-largest municipality in The Triangle, after Raleigh and Durham. Town Manager Sean R. Stegall confirmed the news to WRAL. 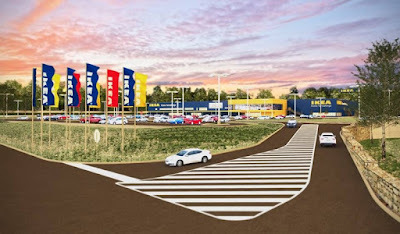 “On Friday morning I spoke with IKEA’s Real Estate Manager Bob Grimsley who shared that, because of IKEA’s evolving business model, there will be no store in Cary. They are moving away from suburban big box retail outlets and into global city centers. We are obviously very disappointed," Stegall said in a statement. Cary Town Council members approved the proposal to build what was supposed to be a 380,000 square foot store on 20 acres of land near Cary Towne Center. Groundbreaking was set for 2019. IKEA also planned to open a new store in Glendale, Arizona, but confirmed May 25 that it had cancelled that store too. City Manager Kevin Phelps confirmed the cancelled store to azcentral. "IKEA recently notified the city that they will not be moving forward with a number of planned projects in the U.S. and that includes building a new store in Glendale. Local representatives for IKEA indicated this decision is part of a new corporate strategy focused on e-commerce." 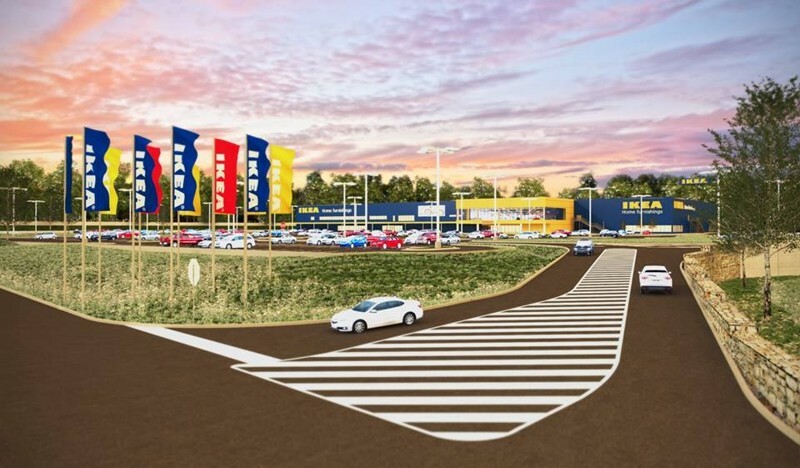 Another new IKEA planned for Nashville was reported cancelled on May 29 by The Tennessean with the company confirming they had had abandoned plans for the store on May 30. "While this is an extremely difficult decision, we will not be moving forward with our plans to build a store in Nashville," Ikea spokeswoman Latisha Bracy said in an email to the Tennessean. "We thank the city and the developer for their understanding of this recent decision. We appreciate the outpouring of support and excitement that our fans have expressed, and we are disappointed that we will not be able to physically join the vibrant Nashville community." The opening of the 300,000 square foot Marietta store along Franklin Gateway was seen as a boon to the area and a move that would hopefully be a catalyst for further development. Local and national real estate sources indicate that the writing may be on the wall for the cancellation of the Marietta store but no one is confirming it...yet. Multiple calls over the past week to both Latisha Bracy, Senior Public Affairs Specialist for IKEA, and the general IKEA Media Relations line seeking official comment on the status of the Marietta store were not answered, despite promises of a prompt reply. 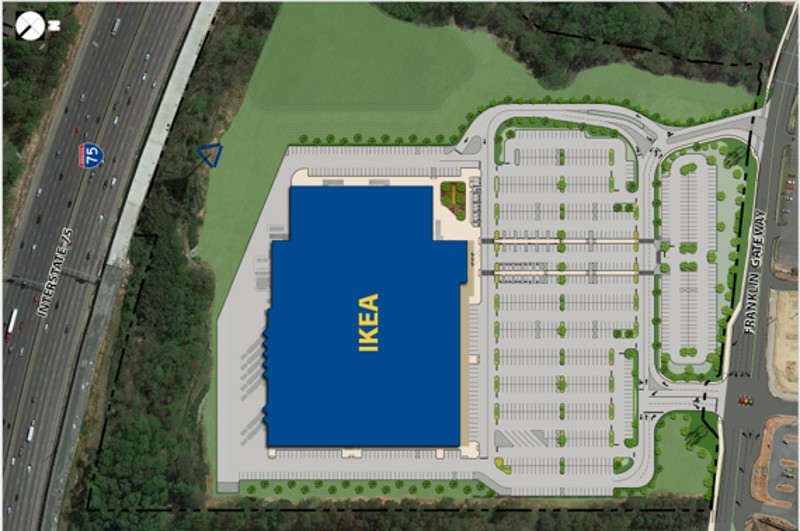 A source within the City of Marietta tells ToNeTo Atlanta that IKEA has purchased the 28 acres it planned to use for its store but has not yet filed any construction permits. It's obviously a lot less expensive to buy some land than to buy some land AND build a store that you decide not to open. IKEA did break ground on a new 331,000 square foot store that will be built on 19 acres in Norfolk, Virginia, this past November. The store, the second in Virginia, in addition to an existing store in Woodbridge, is expected to open spring 2019. On May 16, IKEA opened a new store in Oak Creek in greater Milwaukee. The 293,000 square foot store is the company's first in Wisconsin and was too far along to second guess. New IKEA CEO Jesper Brodin, who assumed the role September 1, 2017, has in recent months shared details of the company’s new direction to more heavily focus on e commerce and push into new markets like India and South America. The company also plans to develop smaller city center store formats in cities like London and Tokyo. A spokesperson with IKEA said that over the last year the company has been on "a journey to expand our multi-channel shopping experience with new retail locations, enhanced technology and greater accessibility to meet today’s customers where they are in today’s fast-changing retail environment." As part of the journey, the company had to re-evaluate some of the upcoming expansion projects, Latisha Bracy said. Would you be disappointed if the IKEA planned for Marieta never opens? What would you like to see open in place of the IKEA Marietta if it is not built? Where do you do most of your furniture shopping? Well, if this is true the Marietta Police Dept will be very upset about the news. The Franklin corridor is the bane of their existence. I wondered about these smaller stores... IKEA always seemed to be a destination shopping experience. The Fort Worth store is confirmed as cancelled. That would have been a great location for them considering the amount of new construction going up around that lot. Thank goodness, why build another IKEA only a 15 min drive away? IKEA designed in Sweden, but made in China! You can always find Ikea stuff cheaper on Craigslist, buy used, stop the consumer cycle. Not surprised. Was actually shocked when announced they were building in Marietta. Same with Cary NC when they already had a well established location in Charlotte NC, even though it is a couple hours distance via interstate. IKEA is a destination store for cheap future landfill items. Maybe fanatic consumers are wising up. The Cary NC store is much more of a surprise due to North Carolina being a much more desirable area to live in than Georgia for wealthier and better educated demographics. For decades Cary has been known as "Contained Area of Relocated Yankees". But they already have a regional store in Charlotte NC, the largest city with many financial - bank headquarters and the regions professional sports teams. @Anon @ 6/9 @ 2:34PM - What does wealthier & better educated demographics have to do with shopping at Ikea? Last I checked, Ikea is known for inexpensively priced and mediocre quality furniture. Something many wealthier & better educated folks do not want. Additionally, per a simple Google search, Georgia actually has a higher median income than North Carolina. As for education, while a greater % of the population in NC has a HS diploma vs GA (85.8% vs 85.4%), GA has a higher % of people with a Bachelor's degree (28.8% vs. 28.4%) and Advanced degrees (10.7% vs 9.9%). So if it is "a much more desirable area to live", then why aren't they living there? Atlanta and Raleigh are both great places to live - why does it have to be a competition? @Anon @ 6/11 @ 3:20PM - Nope, not at all. Just defending where I live. I'm a NYer originally. I have an advanced degree. I make a very good living. I'm not really sure what you believe my "truth" is? If you want to believe I'm a HS drop out who makes $7.25/hr, sure. Go for it. I laid out facts. Maybe you should consider living in a world of facts too? "I have an advanced degree. I make a very good living. I'm not really sure what you believe my "truth" is?  I'm a HS drop out who makes $7.25/hr, sure." Bipolar / multi personality disorder is rampant on the Internet comments sections. Dude why are you making this about yourself and delusions of grandeur. The topic is IKEA - not YOU!!! Yes, the topic is Ikea. You turned it into an attack on me. I quote: "Triggered by the TRUTH a hit dog does bark". Stop the bullying. It's the only thing people like you have in your life. Anonymous bullying. Ooh, you're powerful. LOL "Bullying" How pathetic and weak to play "Victim"
IKEA is junk, unlike classic MCM "antiques" that one can buy secondhand and are worth the price. I love IKEA and was excited about the Marietta store. Not everything in your home has to be expensive to be attractive, functional and durable. All your negative comments say way more about you than IKEA or their customers. It was an exciting thought to have a Marietta location. But I do see the issue with the company investing that much into a new store that's located only 13 miles from the established one in Atlanta. That expense might be better suited somewhere else, or on improving current conditions of the Altanta store somehow. I love IKEA! In fact, just visited today and as usual traffic was a NIGHTMARE on Hwy 75... on a Saturday! I really liked the idea that I would be able to frequent this store without having to get on a congested Atlanta highway. I hope they will go through with the plan to build. I like IKEA. But I like chocolate covered pizza more. I agree! I was pretty excited about an ikea being close by. It's a nightmare to drive into the city and I'm sure it'll get worse over time. I truly don't think that it would be a bad investment for them AT ALL!